​​Black Ice was exactly what I was looking for. I'd already read one of Fitzpatrick's others books, and just HAD to read this. The story revolves around Britt Pheiffer and her best friend as they travel up a mountain to vaca in a family cabin. On the way, their vehicle breaks down and they end up finding refuge with two strangers; one of them she met briefly at a gas station and pretended was her boyfriend to save-face in front of her ex. When the story unfolds and pieces of murders begin to come together, she struggles to stay alive. I love the dynamic that plays out between all the characters and the book didn't take long to finish, mainly because I stayed up way too late reading. However, the first half was a little slow to start, but overall, it was a good read. Somehow I didn't manage to write a review on the first three books, so I'm lumping them altogether. This series was AMAZING! I loved every bit, and read them super quickly. If you haven't had the chance, add these to your list now! I started watching the TV series, and I have to say, it's a little disappointing. The fourth book was just as good as the others, and I've started book five. But I just wish that Jace and Clary could finally be together and that they were fighting battles together rather than this back and forth, give and take craziness. Geez. I really hope I don't have to read all of book five for that to finally happen. This is why I've given it 4 stars instead of 5. 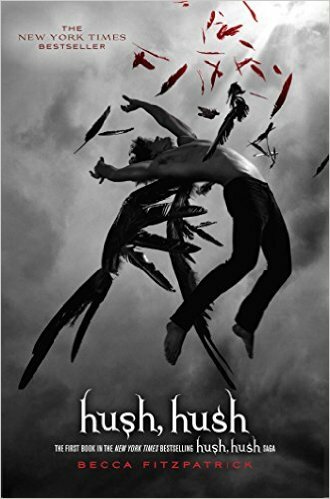 I thoroughly enjoyed this book, just as all the others in this series. The only thing I didn't like, which seemed to be the same in all of them, was the first 100 pages; they were great but seemed to recap a lot of info from the previous book in the selection. As a reader, I'd just read the prior book and didn't want to be retold info that I already knew. Other than that, once I got pass those pages, I couldn't put it down. I'm a slow reader, and I finished the last 400 pages yesterday. Super good books! Definitely add this saga to your "What to Read Next" pile! Wow! Nowadays, I normally finish book one of a series and then move on to a different book completely. But I couldn't put this book down! I finished it in less than 48 hours. I bought book 2 earlier today, knowing I'd HAVE to read it as soon as I finished this one. You have to read it! OMG! I finished this book within 2 days, it was so good! If you liked the first one, you'll love this too. 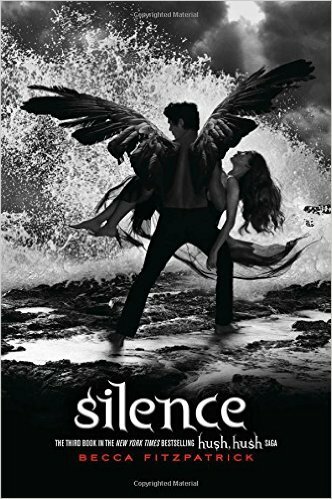 ​I bought Silence knowing I was almost done with the Crescendo, and I was about to go out of town. 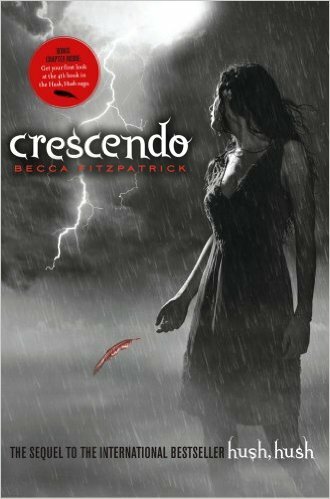 I didn't want to be caught without the sequel, and as soon as I finished reading Crescendo, I started Silence. Fitzpatrick doesn't disappoint, and this book was GREAT! Wow. I just finished reading Divergent. And let me mention, I wasn’t expecting to enjoy it so much. The parts I liked most were…all of it. There was one scene that I hoped hadn’t happened; one of her friends is shot in the head; I won’t tell you which friend, or who shot him, but I kept thinking, why couldn’t he just be shot in the leg, or another non-life-threatening extremity. To be fair, part of what makes this book so intriguing, is the unforeseen, unpredictable events that take place. Without question, the writer knew each character inside and out. And the worlds, the factions, their living environments, the way societies ran, were detailed down to the 100th floor elevator Tris wonderfully finds herself invited into and the dangling street lights from Abnegation waiting to be prepared. I do wish, however, that I had a clearer picture of the other factions: Amity, Erudite, and Candor. But I suspect that I will have a clearer image of those once I read the rest of the series. ​When I first started reading, it took a while for me to really click with the story. However, most of the time that's the case for me. Around chapter seven, it got scary and I HAD to keep reading. There was the occasional grammatical error, but not many, and the story was way more interesting making it easy to look pass any small mistakes. Overall, the story was great, and the graphic imagery forced me to picture exactly what the nasty zombies looked like. I felt like something was missing in the story line, not sure what, but I enjoyed the ending! It's not a lot of fun to read a book only to find myself yelling at the end. I give Hollowland 4 stars! The Burn (book one of the Burn Series) is set in a post-apocalyptic time period evolving around the ‘colonists’ and the people that have survived the burn. The colony consists of a society of doctors and scientists that created an underwater civilization due to the nuclear fall-out. Terra, the main character, is a teenage girl who hates living underwater, never EVER seeing what it’s like above ground (The Burn). In fact, it’s practically forbidden to talk about the Burn. The entire plot hooked me. I never expected the horrible sacrifice Terra would have to make in regards for her longing Burn passion and was deeply curious about what would happen once she reached the surface. I really enjoyed the story; however it slowed down a tad for me towards the middle. Even still, it quickly picked back up and the last half of the book was just as easy to read as the first. And the entire book was fun and exciting. I look forward to In Fraction, book two of the Burn Series. I can’t help but wonder what will take place between Terra and her new found friendship. I rather enjoyed Infraction and liked how it began. The relationship/friendship between Jack and Terra takes place while they’re surviving on the run from the government who wants to capture everyone not under their control. Much of the novel was interesting, especially when the inevitable happened and they became captured. I started wondering what was to happen next and questioning a variety of new characters’ loyalty. Matched written by Ally Condie was a really good book; easy to read, words flowed well, and the concept was appealing. The dystopian world seemed to take a scoop from a couple of different stories I like, but with a completely different plot: the colors representing certain types of people/vocations from Divergent, and the over controlled society that determines who lives and dies like The Giver (I only saw the movie). I’m a slow reader, and some books take 50+ pages for me to become fully invested, but I finished this book in less than a week, which says a lot. I did become a little bored in the middle, before Cassia and Ky started a hiking class, but once their characters interacted and socialized more, the pace picked up again. In fact, once that happened, I finished reading in a matter of hours. Overall, I’m glad I read Matched, and I give it 4 out of 5 stars. I forgot to write a review for this book, but I remember it being a great read. So if you're looking for something a little different and also post-apocalyptic, add this to your "What to Read Next" list! I finished reading Paper Towns over the weekend, and I have to be honest, I never heard of this book before. The main reason: there’s so many books out there! But when I saw that the author, John Green, was the same author as the book I genuinely enjoyed (TFIOS), I grabbed it without hesitation. The first 100 pages flew by fast; good humor throughout chapter one, exciting events starting with chapter two when Margo climbs through Quentin’s window, and a well balance of humor and excitement over the next few chapters. I’m a person that loves a fast-paced reads. After those 100 pages, the story slowed down for me, but I also know that every book needs places where the bustle calms down so that it can pick back up. John Green is a fabulous writer. The imagery and metaphors he uses, as well as his descriptions of different events, made it easy for me to visualize exactly what was happening. And for a while, I thought something horrific was about to come to surface (I won’t say what), but was glad that it didn’t. However, even though the ending wasn’t what I expected, which endings rarely are (I like surprises), it also wasn’t what I wanted. I felt like the finale should’ve been different, so I was a tad disappointed. Overall, I give this book 4 out of 5 stars! Update: The movie was good, but the ending I didn't like ... imagine that. Wow! This book is SO good! Adventurous, unexpecting twists, and believable characters. The plot is set in a futuristic time-period, where everyone receives a "pretty" surgery on their sixteenth birthday. Before this time, they're called Uglies, and they live in a dorm with other Uglies until they "graduate". Before the main character, Tally, turns Pretty, she finds out about a mysterious town called The Smoke. Once this happens, the adventure begins. If you enjoy YA SciFi, read this book! I bought book 2, Pretties, yesterday! Ahhh! I really miss David and hate how it's between him and Tally now. And don't get me started on Shay. Can't wait to read the next book, find out what's happened with Zane. How is Tally going to fix this now??? Great book! It took me much longer to finish this book, but not because it dragged, but because I was busy. I REALLY liked this book, just as much as the others. However, I loved David from book one, and was upset about his absence in book two. But then I fell for Zane in book two, really liked him, and yet he was stripped from book three. They both had appearances and were talked about a lot, but neither had as much stake, and now at the end of book three, David is back and Zane is dead. I hate that. I'll probably read book four at some point, but probably not right now. I did enjoy the series tremendously, and highly recommend reading them. A solid four stars for Specials! Add these books to your "What to Read Next" list! “I fell in love the way you fall asleep; Slowly, and then all at once." Does it get better than that? Yes! I finished reading The Fault in Our Stars today and cried the last part of the way. This book is well rounded and written with passion. The author dove into the characters and knew them inside and out, left and right, up and down. I truly felt I knew them too. This read is deeply romantic at times, light-hearted and emotional a lot of the time, and the balance of all three is done well. I highly recommend this book, and am hoping the movie doesn’t let me down. I have June 6 marked on my calendar and will be there opening night! If you haven't read this book, you HAVE to add it to your "What to Read Next" list! This was the BEST BOOK 2014 and one of the best books of all time. I really loved it! Update: The movie was just as sad and great! So if you haven't seen the movie, you need to. I very much enjoyed this book. It took me a few pages to get pass the spellings of certain words, since it's told from a twelve year old boy's perspective. But then I got used to it and quickly read through this book within three days. Loved the short story prequel (The New World, which is free on Amazon) and I'm looking forward to reading others written by Ness! As I read The Maze Runner, my anticipation for what was to happen begin at the top. I originally saw the movie preview a few weeks ago and immediately wanted to read the book. In most cases, the book is far better than the movie, but in this case, I’m hoping that the opposite is true. I enjoyed the book’s plot and the idea surrounding the story, but there was something missing from it and I can’t exactly say what. Though I know that’s not helpful for those of you who are itching to read it. However, I still think it was interesting and the characters were thought out well. And I still can’t wait to see the movie, definitely looking forward to it in September! 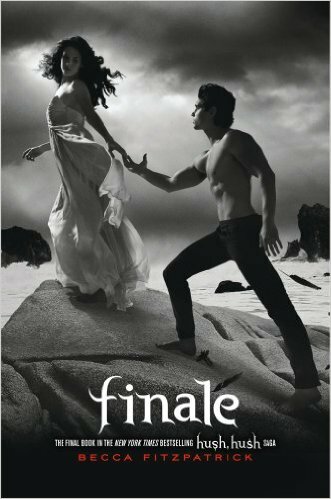 I will say the epilogue intrigued me more, and I may read book two later this year. I give it 3.5 stars! Update: The movie was definitely better than the book. I can't believe I'm admitting that. It’s a great day when I read a book that I don’t want to stop reading! Unwind by Neal Shusterman is one of these books. The story takes place after another civil war occurs, but this time, it’s solely about abortion laws. To appease both sides that are fighting, the government instates The Bill of Life, which basically says that everyone HAS to deliver a baby whether the infant is unwanted or not, HOWEVER, when the child is between the ages of 13-18, their parents have the choice to unwind them. Unwinding is the process of removing every organ and part of the body, and then allowing others to use these pieces. For example, if you have horrible eyesight, then you can purchase new eyes. If you need a new arm, you can pay for an arm from a child that’s been unwound. Factories are places where they harvest these kids. The majority of the story follows three different teens that are running from the government, trying to survive. The book is what it sounds like: a new refreshing story that is unlike any other I’ve read. Unwind is young adult science fiction, and I give it 5 stars!